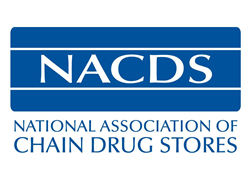 National Association of Chain Drug Stores (NACDS) President and CEO Steven C. Anderson, IOM, CAE, has been selected as the 2016 Trade Association CEO of the Year by an independent panel of association leadership experts. The award is presented by CEO Update magazine. Anderson is only the third CEO to receive this honor. Previous honorees were U.S. Chamber of Commerce President and CEO Thomas J. Donohue and Edison Electric Institute President Thomas R. Kuhn. NACDS Chairman of the Board Randy Edeker, chairman, CEO and president of Hy-Vee, Inc., said: “This award is one of the highest honors that can be given to an association executive since it has only been given to two other CEOs previously. Steve has a national reputation of building brand, clout and revenue at the three associations he has led, and that is surely the case at NACDS. Demonstrated social capital through volunteer contributions to association-related, charitable or civic groups. The independent panel of association leadership experts who selected Anderson as the 2016 Trade Association CEO of the Year consisted of senior representatives of executive search firms Spencer Stuart, Heidrick & Struggles, Russell Reynolds Associates and Vetted Solutions; senior representatives of legal, government affairs and accounting consultancies Policy Solutions, Tate & Tryon, Venable, and Webster, Chamberlain & Bean; and the current or past CEOs of the American Petroleum Institute, the American Society of Association Executives, the Council of Scientific Society Presidents, the National Association of Automobile Dealers, the Nuclear Energy Institute, and the American Chemical Society. Anderson has served as president and CEO of NACDS since 2007. Previously, Anderson was president and CEO of the National Restaurant Association for eight years, and he held senior positions at the American Frozen Food Institute for 20 years, having served as president and CEO for 10 years. Anderson served for six years on the Board of Directors of the U.S. Chamber of Commerce. He is the Past Chairman of the National Board of Trustees of the U.S. Chamber of Commerce’s Institute for Organization Management, and he is a current member of the U.S. Chamber’s Public Affairs Committee, the U.S. Chamber’s Association Committee of 100, and the U.S. Chamber of Commerce Foundation Advisory Committee. He served as a member of the American Society of Association Executives Board of Directors, chairman of its Public Policy Committee and chairman of the Board of Trustees of its Insurance Commission. He is a member and past chairman of the American Society of Association Executives Key Industry Associations Committee. Anderson is passionate about and committed to education. He serves on the Parents Councils of Wake Forest University and Elon University, and the Board of Trustees of Flint Hill School. Anderson was a Paul E. Wise Executive in Residence at the University of Delaware’s Alfred Lerner College of Business and Economics. Anderson has served on the Board of Trustees of Cornell College and the Advisory Board of Cornell’s Berry Center for Economics, Business, and Public Policy. He has been a guest speaker or lecturer at Wake Forest University, Elon University, the University of Delaware, Cornell College, Northwestern University, American University, Washington State University, University of Colorado and Ohio Northern University. Former Secretary of State Colin L. Powell named Anderson to the Board of Trustees of America’s Promise – The Alliance for Youth, where he served for eight years.